Over this past weekend, I attended a local progressive education conference. One of the workshop leaders used the Turn and Talk strategy instead of a traditional Think, Pair, Share. 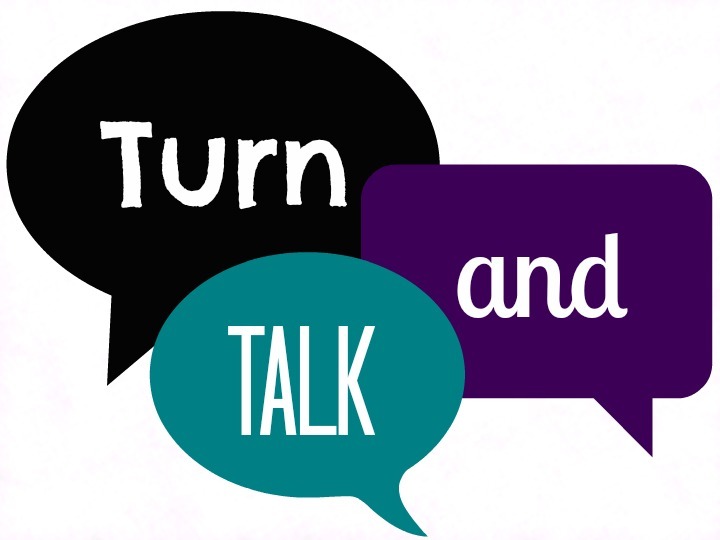 I liked two things about Turn and Talk. 1. The alliteration. I am a sucker for that literature concept brought to life. 2. I sometimes like to just start talking about a concept or lesson with someone else. I don't always want (or need) to reflect on it first by myself. Plus, I would say I am a bit of an expert on Turn and Talk...at Trader Joe's, waiting in line at the post office, at Joann's as my fabric is being cut....Ha!